Torremolinos is the oldest resort in the Costa del Sol and is a favourite with the eighteen to thirty age groups. 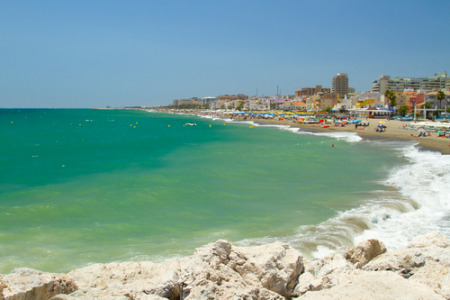 Torremolinos holidays offer a guarantee of sunshine, several sandy beaches, water sports and a very lively nightlife. Our cheap Torremolinos holidays appeal to a variety of ages as families are attracted by the clean sand and safe waters, golfers have a choice of courses and older couples enjoy late and early season breaks when the area is less frenetic. Holidays to Torremolinos certainly have something for everyone. Attractions include Tivoli World and Aquapark where both adults and children can enjoy exciting rides. Our low cost Torremolinos holidays offer excellent value for money with good hotel accommodation and service. If you are looking for a lively fun-filled break, our holidays in Torremolinos will fit the bill, without breaking the bank. To find our last minute Torremolinos holidays, search using our offer finder to the left.